Amanda found these amazing fruit bars at Sobey's called Betty Lou's Fruit Bars. 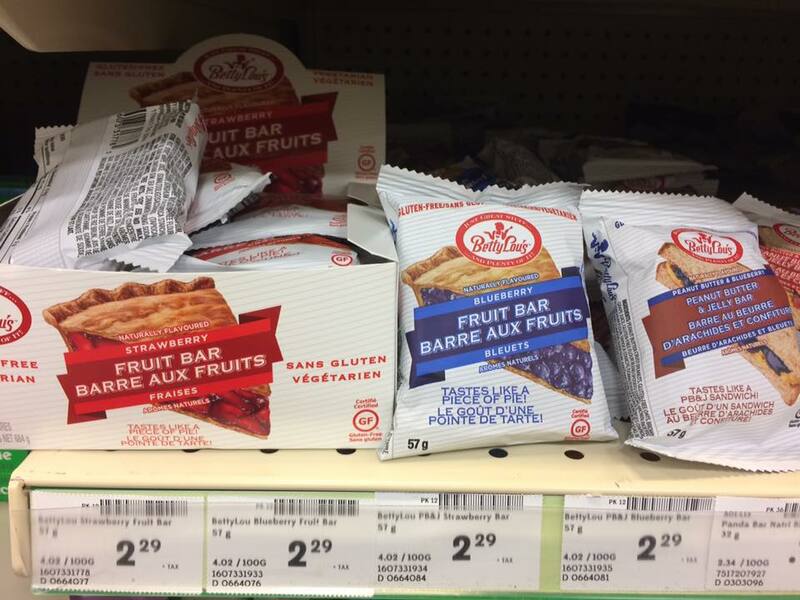 They are certified gluten free, and no only taste amazing, but taste like what they say they taste like. In the photo we have strawberry pie, blueberry pie and peanut butter and jelly sandwich. Well, as Amanda is a huge peanut butter fan, she went straight for the peanut butter and jelly sandwich which she loved. At $2.30 a piece they run the same price as any specialty bar, maybe even a little less.